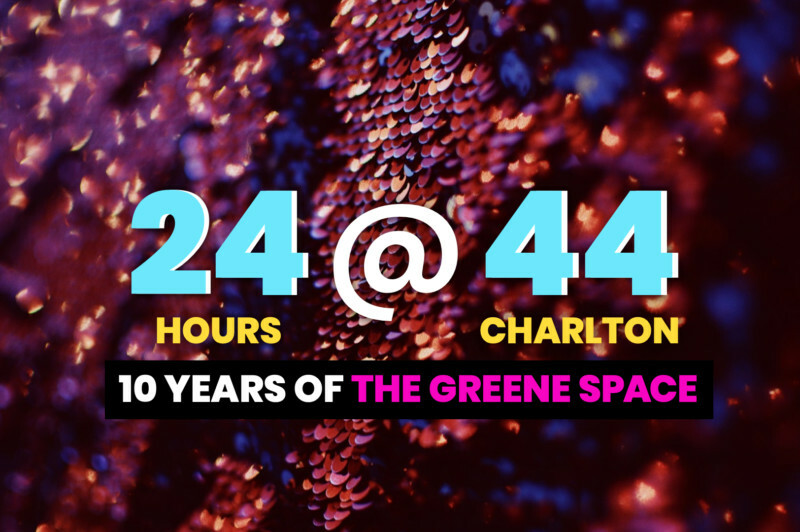 To celebrate 10 years in The Greene Space, join us for a nonstop 24-hour marathon of live journalism, music, art, performances and parties with all the New York Public Radio fam — plus a few surprises from our friends. Free and open to all! Don’t miss this once-in-a-decade, totally New York, only-in-The Greene Space birthday party! Skip the gym and kick the day off with DJ Dwai, spinning a live set that you won’t want to miss. What’s more? It’s free. It’s clean. And open to all. Coffee and morning refreshments will be available for purchase, including our featured snack: Bare Snacks. Pull up a chair in WNYC’s living room for a live broadcast of The Brian Lehrer Show. Brian will talk with civil rights activist and podcast host DeRay Mckesson; Mayor Bill de Blasio; actor Laurie Metcalf (two-time Tony Award winner and three-time Emmy Award winner) and playwright Lucas Hnath about their new play, “Hillary and Clinton,” which explores the politics of marriage, gender roles and more; and Kevin Sabet, founder of anti-legalization group Smart Approaches to Marijuana and Maria McFarland Sánchez-Moreno, executive director of Drug Policy Alliance, will debate cannabis legalization versus decriminalization. Refreshments will be available for purchase, including our featured snack: Bare Snacks. Be a part of the live studio audience for a broadcast of WNYC’s All Of It with Alison Stewart. On the show: singer and multi-instrumentalist Andrew Bird, tap dancer Ayodele Casel, playwright and performer Heidi Schreck of What the Constitution Means to Me and composer, jazz pianist and our artist-in-residence Arturo O’Farrill. Please note: All Of It is a daily news program. All guests are subject to change based on the news of the day and the needs of the show. Join WQXR for a live broadcast featuring rising star pianist Conrad Tao, described as “ferociously talented” by Time Out New York and a musician of “probing intellect and open-hearted vision” by The New York Times. Tao was named a Presidential Scholar in the Arts in 2011, and the National Foundation for Advancement in the Arts awarded him a YoungArts gold medal in music. Tao was also named a Gilmore Young Artist, an honor awarded every two years highlighting the most promising American pianists of the new generation. In May of 2012, he was awarded the prestigious Avery Fisher Career Grant, and in 2018 was named a Lincoln Center Emerging Artist. Join comedians Michelle Buteau and Jordan Carlos for a live taping of Adulting, a new comedy podcast from WNYC Studios. They’re joined by Tony Award-winning actor, writer and director John Cameron Mitchell and comedian Sydnee Washington for an honest and hilarious conversation about growing up. Michelle and Jordan share their funny and frank take on the ups and downs of adulthood, from paying taxes to having kids to splitting the check at dinner. Plus, they’ll answer your questions from the audience about anything and everything about adulting. Refreshments will be available for purchase, including our featured snack and drink: Sorbabes and Sixpoint. Come out to a Gothamist Happy Hour with drinks, trivia and some special surprises from the editors of your favorite website about New York City. The ever-innovative Suzan-Lori Parks is surprising audiences yet again with her latest hit play, “White Noise,” about race, friendship and our rapidly unraveling social contract. She talks with Kai Wright, host of the new WNYC Studios podcast The Stakes, about her process, how this play fits in with her other works and adapting Richard Wright’s “Native Son” for the screen. Suzan-Lori Parks was named one of TIME magazine’s “100 Innovators for the Next New Wave,” and is the first African-American woman to receive the Pulitzer Prize in Drama for her play Topdog/Underdog. She is also a MacArthur “Genius Grant” prize recipient. Refreshments will be available for purchase, including our featured drink, Lagunitas. Stay up all night for a sleepover party like no other with your host, comedian Josh Gondelman (Desus & Mero, Last Week Tonight with John Oliver). Featuring guests Noré Davis, Shalewa Sharpe, Alison Leiby and Jo Firestone. 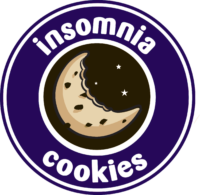 Refreshments will be available for purchase, including our featured drink and snack: Lagunitas and Insomnia Cookies. Join us for a special listening session, curated for The Greene Space. Start the morning with a free meditation led by certified instructor Adriana DiFazaio, accompanied by soothing sounds performed live by Julius Betila. Adriana DiFazio is a New York-based meditation instructor, writer and speaker. She started meditating as a student at Barnard College in 2012 within the Shambhala Buddhist tradition and helped found Exubrancy, a national office wellness company, between 2015-2018. She provides meditation instruction at MNDFL, Be Time Practice, corporate offices and events throughout the country. Adriana graduated from MNDFL’s 300-Hour Meditation Teacher Training Program in 2016 and the Mukpo Institute, a three month meditation retreat program, in 2018. Julius Betila‘s natural curiosity in science and technology led to his exploration of spirituality. Sound as an energy modality helped Julius align his mind, body and spirit to connect with his passion of helping people. Julius shares his own healing journey and creates a meditative soundscape with a mixture of sacred instruments to promote a sense of well-being and strengthen the heart-brain coherence. He currently offers sound meditation experiences at Montauk Salt Cave in Manhattan and works with retirement homes, daycare centers, yoga studios and private sessions throughout New York City, along with remote sessions all over the world. The New York Opera Festival and The Greene Space present a world-premiere opera composed over the last 24 hours by an all-star team of local composers, writers and performers, plus excerpts from their upcoming festival shows. Expect to hear an incredible cross section of what New York City opera sounds like outside of the Met Opera, and how it deals with urgent topics ranging from politics to LGBTQ rights to global warming to toxic masculinity. Note: A separate reservation is required for this event. RSVP here. The Greene Space will be open continuously from 7 a.m. on Friday, April 12 until 1 p.m. on Saturday, April 13, inclusive of the 24-hour marathon and the related opera performance at 12 p.m. This is a live collaborative art-making experience, so there may be slight deviations in start and end times for segments and our featured guests may change. Audience will be admitted on a first-come, first-served basis and we will follow a one-in, one-out policy if our capacity is reached. At times studio access may be restricted to avoid disruptions during live radio broadcasts and music performances, as well as during major resets , to our stage and seating. During these occasional breaks, our lobby will remain open for patrons to see art, visit our membership pop-up shop, get drinks and food at our bar, and access other activities. Note that all food and drink sales will be cash only. Free and open to all. RSVP no longer required. Admission on a first-come, first-served basis on a one-in, one-out policy if our capacity is reached. Snacks and beverages will be available for purchase. Cash only.